A version of this article was originally published by NewsWhip. Twitter has signaled its intention to focus on video as a key platform feature for 2018, and some publishers have already been noticing the effects. "Twitter has some characteristics that have the power to make it a unique proposition in social video publishing." Last year, Twitter’s announcement that it would be partnering with a string of media companies to provide round-the-clock video content for the platform was met with some skepticism. Was Twitter trying too hard to muscle in on a social video space that was already saturated and showing unpredictable returns? Video on Twitter was largely known for Vine, the since-shuttered service that allowed six-second looped clips, and Periscope, a live-streaming channel that faced plenty of competition of its own. When we previously outlined four ways that publishers used the medium in mid-2016, there was a feeling that Twitter video could only every really be thought of as a promotional or extremely short clip service. In 2018, Twitter’s video plans look a little more concrete. What’s changed for Twitter video? Since the partnership announcement (which was followed later in 2017 by an announcement of even more partners), there have been a few changes in Twitter’s approach to video, some of which seem to have managed to increase use of, and engagement with, the medium. With these media partnerships and increasing numbers of key live events, Twitter appears to be stepping enthusiastically into live video broadcasting, a space where Facebook has recently ended its payments to publishers..
Twitter is also reportedly working on a new feature design to reduce the number of steps users have to take to share video on the platform, while executives have signaled that video will be an important keystone of the company’s ambitions in 2018. Back in December, a new public metric called view counts was added to Twitter videos for the first time, leading to an increased standardization among other social video formats on different platforms. Twitter’s ‘total video view’ metric is calculated by the sum of “any views which are at least 50 percent in-view for 2 seconds.” Under this measurement system, at least half of video has to be visible and playing on a user’s screen for at least two seconds to count as a view. 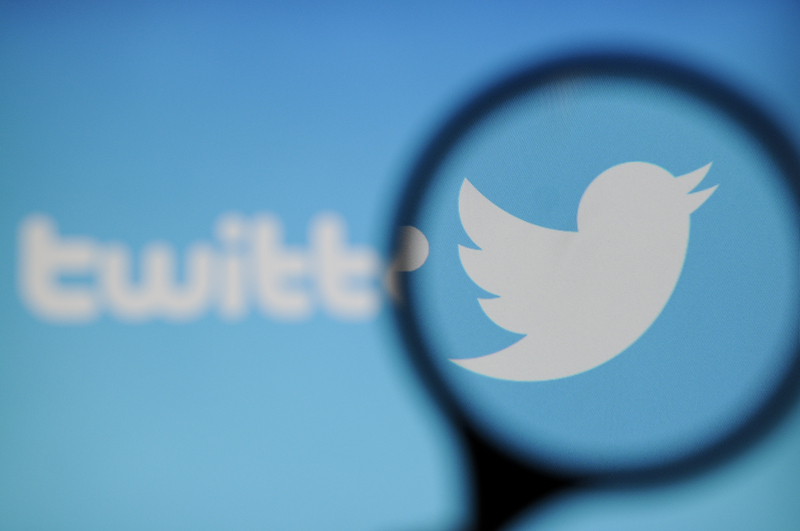 There are some signals that user behavior around video on Twitter is also starting to change. Last month, several publishers, including Bauer Media and CNBC, told Digiday that they had seen significant increases in video views on Twitter recently. What are the biggest videos on Twitter? So how have publishers been using video on Twitter in recent months? Looking in our analytics tool Spike, the most popular videos on Twitter (ranked by total retweets and likes) in the last 30 days from influential accounts are largely made up of viral clips, fan-focused content and videos posted from celebrity and public figures’ accounts. For the publishers that do appear among the top videos however, certain themes are evident. News videos are extremely popular, which is not all that surprising given the popularity of news-focussed content on timelines generally. Some of the new ways that publishers appear to be using video include standard TV-news repackages, as well as more recognizable social video formats. A strong current affairs theme runs through many. One of the most retweeted and liked videos of the last 30 days was a clip of U.S. Education Secretary Betsy DeVos’s lackluster 60 Minutes interview, repackaged and posted by the news site Axios. Another popular clip in the last month was a video posted by ABC News of a parent of one of the victims of the Parkland High School shooting criticizing the NRA. Both of these clips demonstrate strong news value, but do not differ significantly from the original made-for-TV broadcasts. In this way, Twitter videos may differ from Facebook video, which has placed an emphasis on differentiating itself as a unique format. Instead, audiences may see Twitter as a place where they can ‘see for themselves’ a video clip or footage that is the focus of news reports elsewhere. This is certainly a notion that Twitter itself looks to pursue, frequently touting its potential as a breaking news and live events platform. In terms of volume of video content, there is a remarkable variance is overall posting habits from different publishers. This chart, compiled using NewsWhip Spike, shows the number of videos posted by ten selected TV news publishers in the U.K. and U.S. over seven days, from March 7 to 14, 2018. This does not include retweets, therefore giving a clear picture of the amount of original video uploads that various networks are distributing through Twitter. Fox News is the leading poster, with 701 videos over seven days, or an average of around 100 per day, from just one Twitter account. Other networks such as CBS and ABC also post video frequently, while BBC News posted just 28 videos in the same time period. The vast variance is more apparent than on Facebook, and perhaps points to different experiences and strategies being pursued by the social media teams. Twitter has some characteristics that have the power to make it a unique proposition in social video publishing. How exactly publishers decide to use the feature may change throughout this year, as the platform attempts to grow its share of the online video attention space. In addition to audience engagement and uptake however, one question that will certainly be on publishers’ minds will certainly be: where do we make money from this? Liam Corcoran writes about digital journalism and media trends, metrics, and more for the NewsWhip blog.